A great way to track and manage attendance for field staff, is by allowing a team manager/foreman to clock everyone in from his personal device (iOS or Android) in Kiosk Mode. Example: David has an Air Conditioning Servicing company with 10 teams, all consisting of about 4 staff members. Throughout the day the teams are sent out to different sites (clients) across the city. For payroll and quality control purposes, David needs to know when and where his staff is working. He chooses to give his team leads (1 per team) the responsibility for the team attendance. 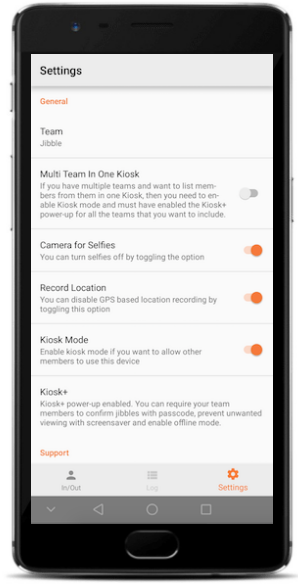 All team leads log in the Jibble App for iOS or Android on their phone and set it up in Kiosk Mode so they can select their staff members when Jibbling in/out. At the end of the shift he performs the same action but Jibbles them out again. 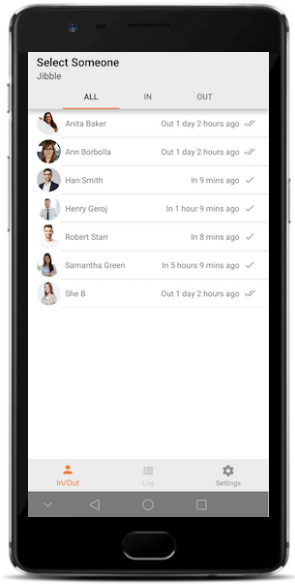 David can log in to app.jibble.io any time to see who's working where at the moment, or download timesheets for payroll.